Always wondered why George Ginnis despised the Faker family, all the Fakers. I understand now thanks to Jerrod Faker. 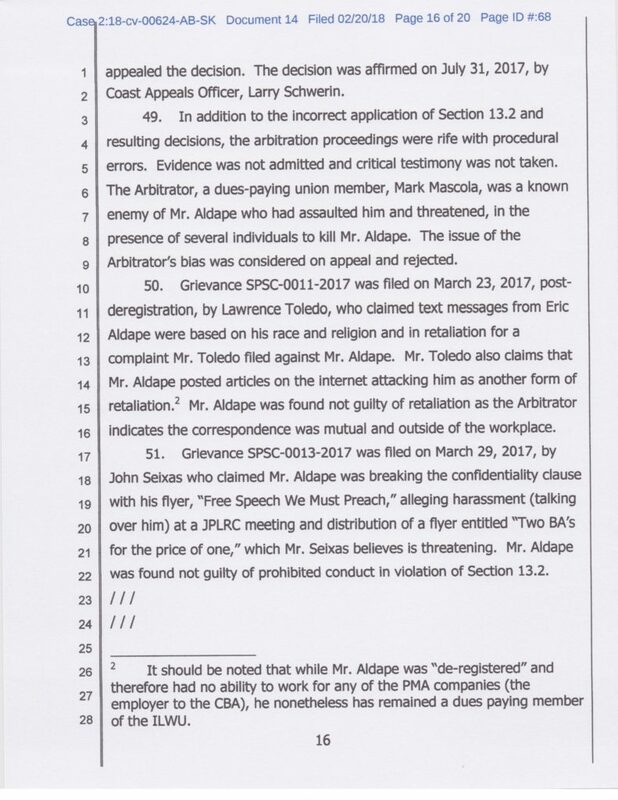 Jerrod Faker has to be the stupidest member of Local 23, and now he is the Chair of the Union Labor Relations Committee. While he was the B-man representative he applied the “what ever I feel like” rule to deregister numerous people, because he felt like it. 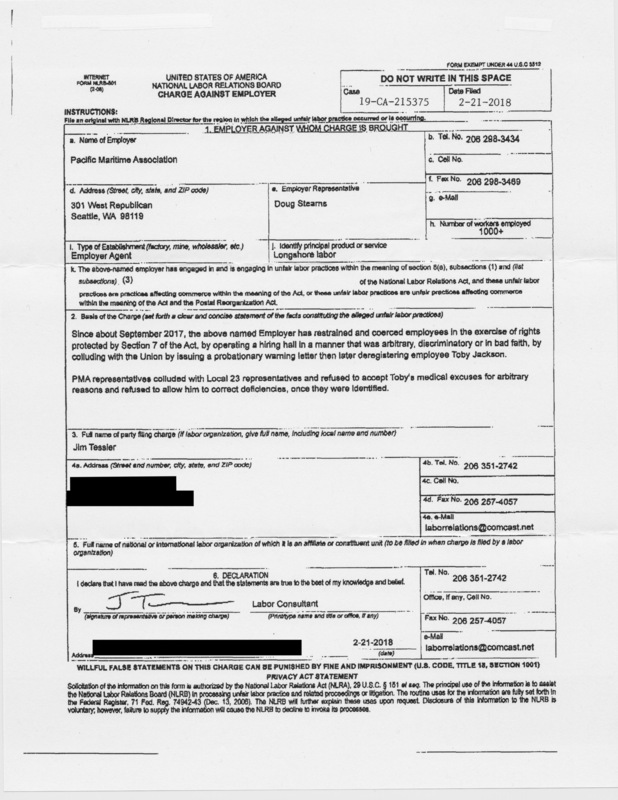 Jerrod arbirtarily refused to accept a medical excuse because it was not date stamped. Date stamped? 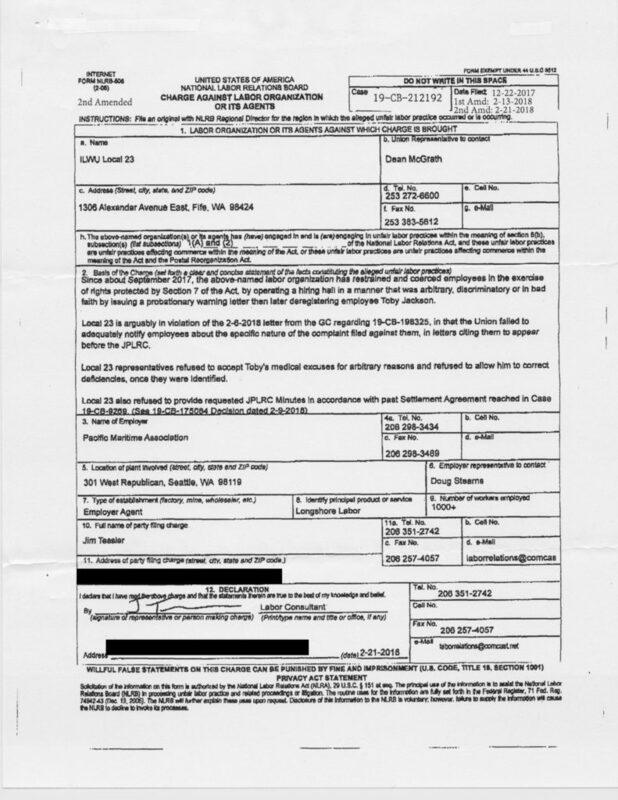 Jerrod Faker has invited the NLRB to investigate his behavior, and the behavior of the PMA morons who are colluding with him. 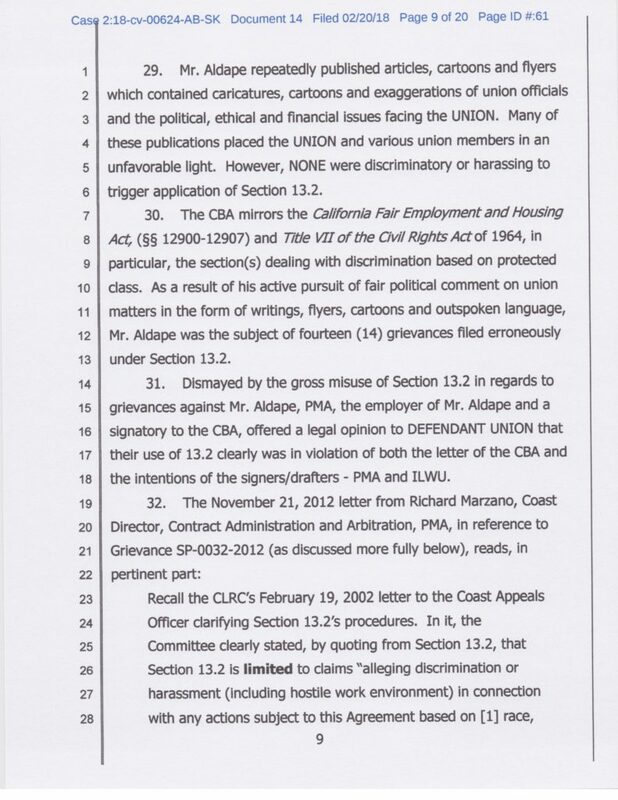 Or for those who prefer PDF; NLRB 19-CB-212192 – 2nd Amended & NLRB 19-CA-215375. 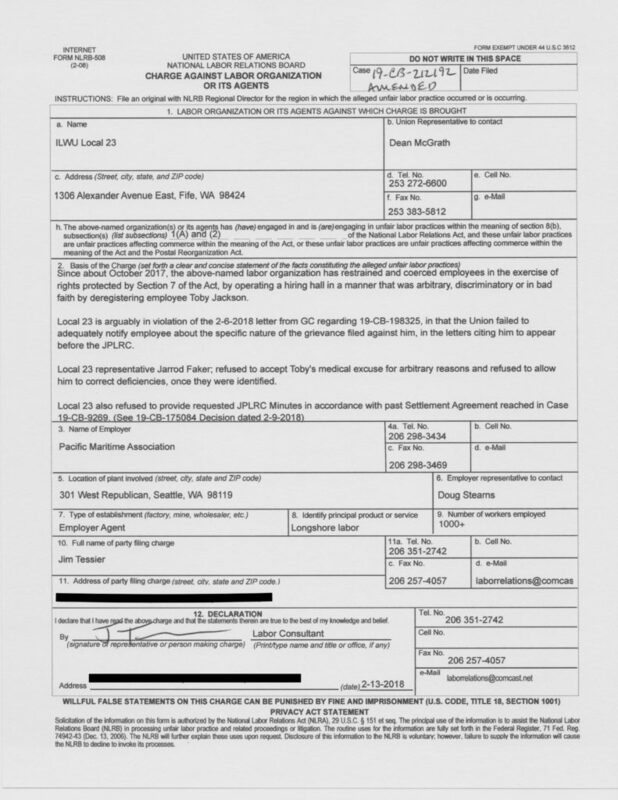 If Jerrod Faker and his PMA buddies deregistered you, or someone you know, you should file a Charge with the NLRB. Chances are good that your rights were violated as well. 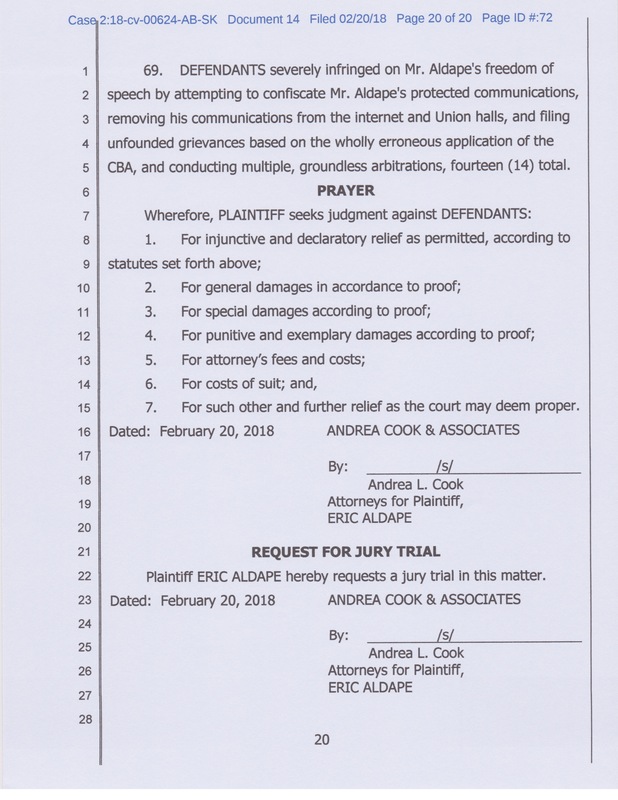 DO NOT let a dumbshit like Jerrod Faker take your, or anyone else’s, job away for unlawful reasons. Tell, and show, Jerrod Faker that an injury to one is really an injury to all. 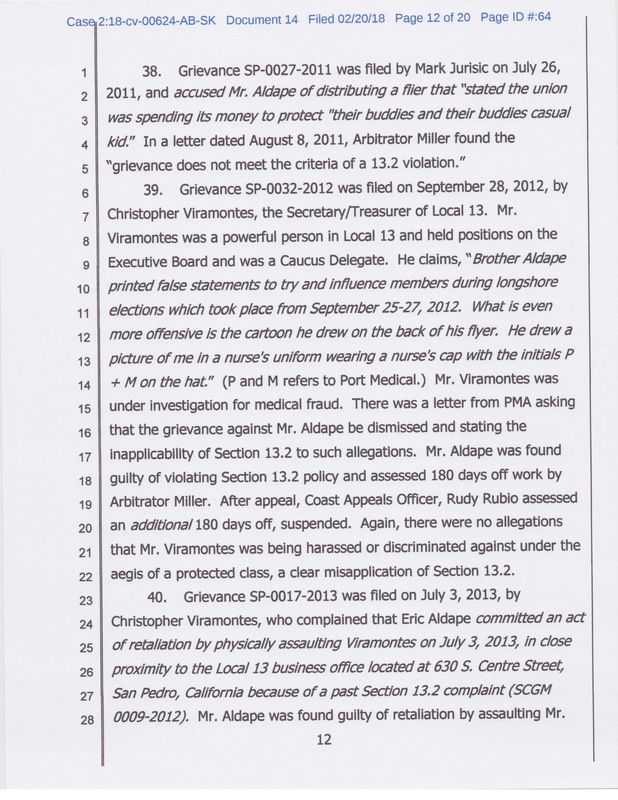 ALDAPE v. Corrupt ILWU Officials – Eric’s first punch! 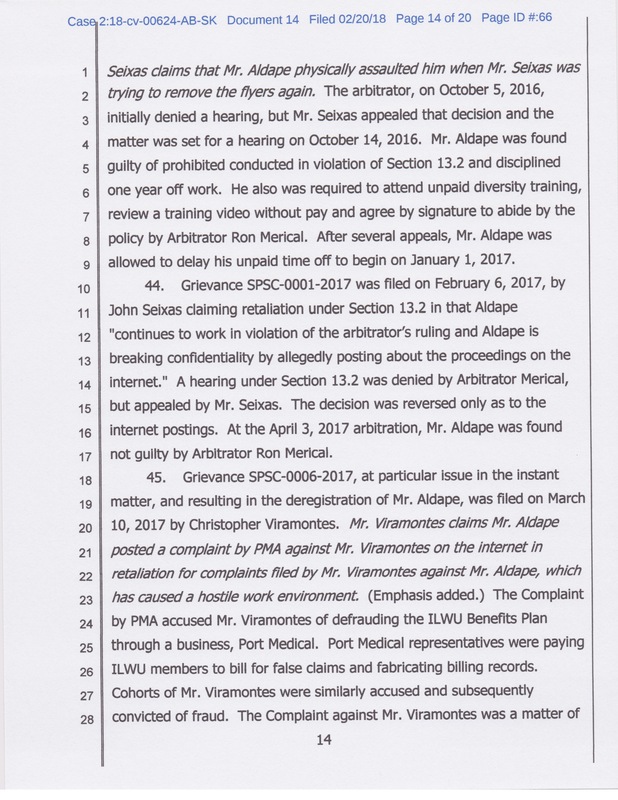 If you are interested in the story of what the ILWU did to member Eric Aldape you came to the right place. 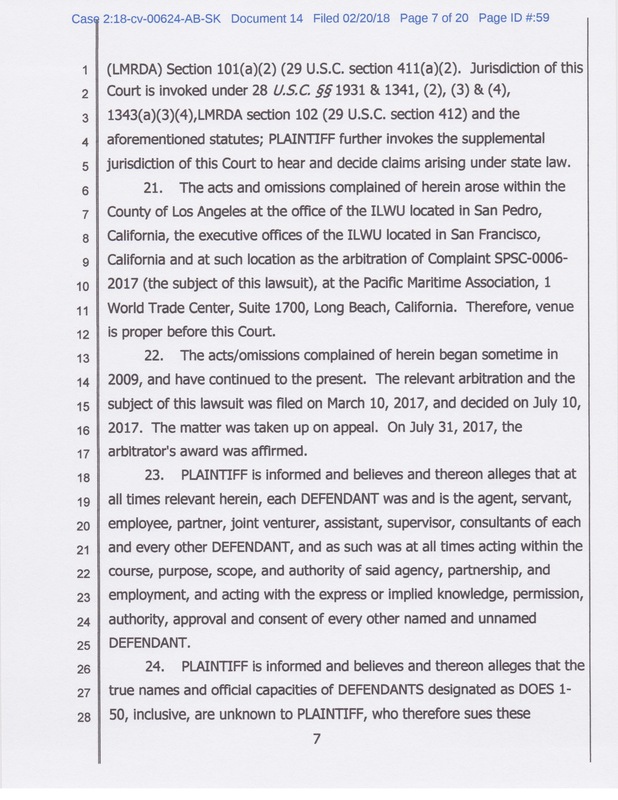 Or, for those who prefer PDF; 014 022018 First Amended Complaint. This is just the first punch. 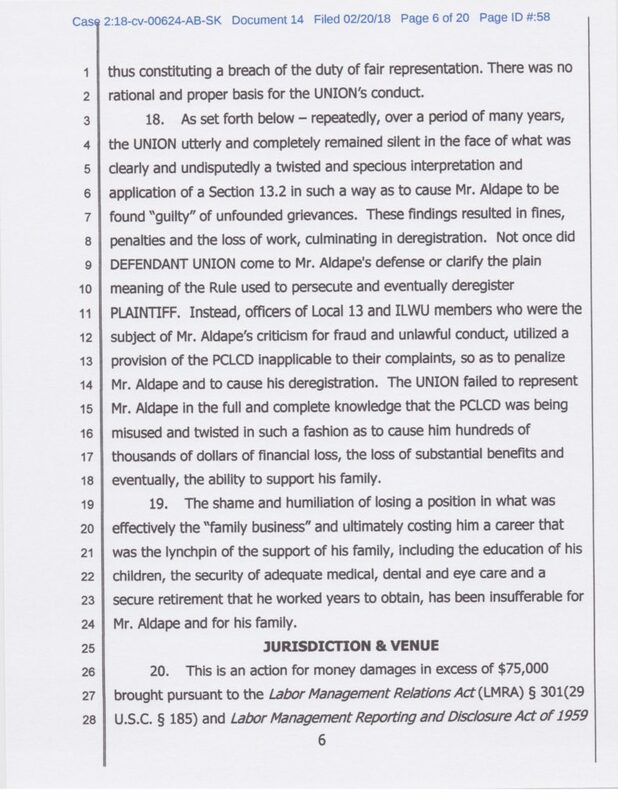 NLRB charges have been filed against Local 23 related to deregistering B-men. 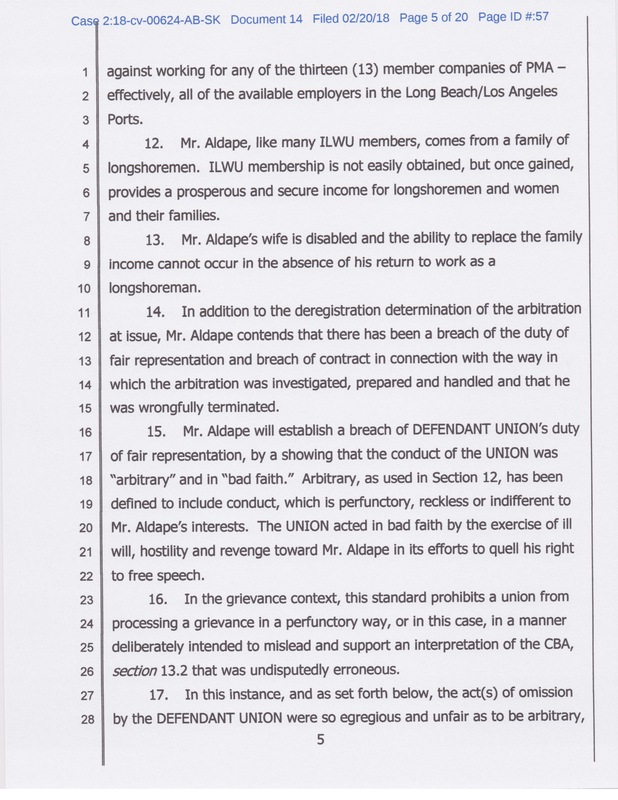 One of the B-men deregistered by Local 23 has filed a NLRB charge against the Union for violating his rights. If you, or someone you know, were deregistered within the last 6 months and they want to do something about it they need to call the NLRB in Seattle at 206 220-6300, ask to speak to the duty officer, and file a charge. We can’t help you, if you don’t want to help yourself. Do not let a few corrupt Union officials take your job, and give it to one of their buddies.